It's like a Brighams malted frappe in your mouth. The creamy milk chocolate and the burst of malt is absolutely one of my favorite taste sensations, built upon layers of sweetness and some heavenly, slightly salty flavor bits. One of our new features for 2016 is Foodie Finds, products we have seen and sampled and wanted to share. Because who doesn't like chocolate? 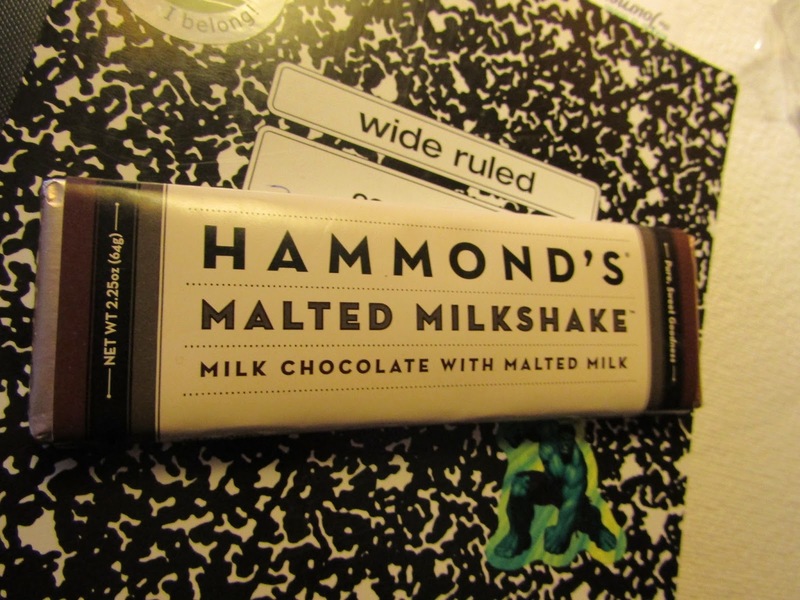 We got this Hammond's Malted Milkshake bar at Bob's Italian Food Store in Medford and it has already become one of our favorite snacks.